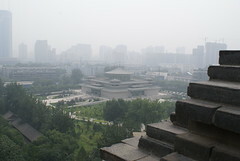 Xi’an (西安) is a town in middle of China in the Shaanxi province. 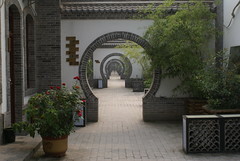 This city is well-known in the world for its Terracotta Army. This idea to discover this UNESCO site was the main reason to plan a visit for a short weekend in August. I was really surprised during my travel preparation to see that lot of historical events happened in this city during China history. 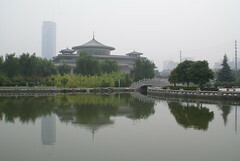 More than 13 Emperors chose Xi’an as their Empire capital city. This first post is dedicated to the 1st day of our weekend when we focused on the city sites. Another one will be dedicated to the Terracotta Army. Firstly, I want to share some useful tips for travelers/backpackers who read this blog: Xi’an is accessible from Beijing (my hometown) by night train. We didn’t get tickets for sleepers as so often in China so we decided to fly there (1h50 flight – 2000 RMB / pers. 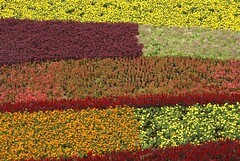 for round trip). We also found really nice hostel, 7 Sages Qixian Hostel closed to the railway station with English staff, typical hutong architecture and really good room (Twin room 200 RMB / night or dorm 30 RMB / night). We started our discovery of the city on bikes that we rent at the hostel. 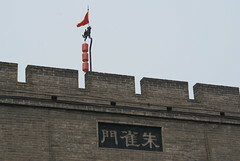 We went to the Bell Tower (27 RMB / pers) which is closed to the Drum Tower. Those 2 towers were during Emperors’ time t the city center limits. We got bit lost in Muslim district which is more messy than the usual Chinese streets. 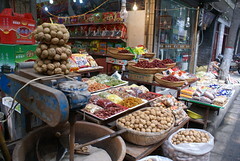 It was during Ramadan which may reduce the specific atmosphere that other travelers described to us. 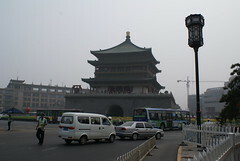 The mosque visit was also a good rest and calm time which is totally different that crazy Chinese streets life. 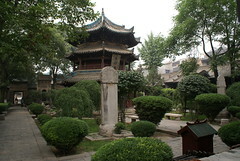 In the afternoon, we went away of the city center to visit the Small Goose Pagoda (30 RMB). This Pagoda is in a nice and tree-shaded park. This was necessary because the thermometer was around 35-36 degrees. Traveler hint: you can go to the top of the Pagoda to have an incredible point of view of the Park. 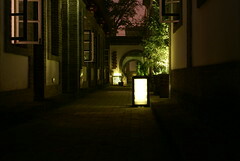 We finished our day on the City Walls (40 RMB). 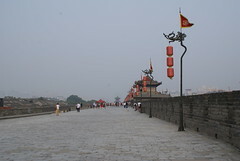 Xi’an is one of the latest Chinese cities which still have their original defense walls. 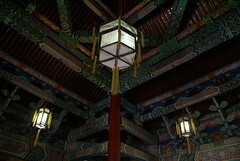 They were renewed and opened to public 20 years ago. Nice walk; a must do if you come to this place.